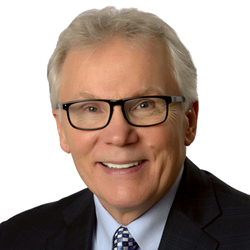 The Master Registered Financial Consultant Certification Program welcomes its newest member Robert D. Lawson, MRFC of Barrington Financial Consulting Group to the Board of Directors. With an impressive resume and longtime relationship with the International Association of Registered Financial Consultants (IARFC), he steps in as a natural fit for overseeing the MRFC Certification Program. I believe I am well-positioned to provide an immediate and positive impact for MRFC. I look forward to contributing towards the long-term success of our organization and its members...Robert Lawson, MRFC. Mr. Robert Lawson has over 35 years of financial experience in securities, investments, insurance, and commodities and in a professional capacity as a financial advisor, investment fiduciary, supervisor, and managing principal. He serves as the President of Barrington Financial Consulting Group, Inc. and the President and Chief Investment Officer of Barrington Capital Management, Inc., a Registered Investment Advisory Firm and Insurance Agency that he established in 1988. As a Securities & Insurance Expert Witness and Litigation Support Consultant, Mr. Lawson is retained by both claimants and respondents for FINRA arbitrations, mediations, and court settings. Retaining counsel is supported by extensive research, expert witness reports and testimony, and decades of industry experience. Mr. Lawson is dedicated and knowledgeable in the financial services industry with numerous nationally-recognized certifications and has conducted over 500 presentations, classes, and workshops for industry professionals and the investing public. “Robert will be an experienced contributor to the MRFC Certification Board,” welcomes Chairman Barry Dayley, MRFC. “His ability to succinctly articulate the importance of the MRFC credential will be invaluable as we look to increase the visibility of the program and its significance to financial consultants who qualified to apply. Accredited in 2018 by the National Commission of Certifying Agencies (NCCA), the MRFC Board operates independently from the IARFC to establish and uphold high standards of competence for the MRFC Certification Program and its credentialed holders. The mission of the Board is to provide an ongoing benefit to the general public by granting and recertifying the MRFC credential and upholding the credential as a standard of excellence of ethical, valued, competent and client-focused financial consultants. To read more about the MRFC Certification Program and apply for the credential, visit the MRFC section of the IARFC website. International Association of Registered Financial ConsultantsThe IARFC, International Association of Registered Financial Consultants, is a non-profit professional association that serves, educates and trains financial practitioners who help people "spend, save, invest, insure and plan for the future."